Exp359.25thOct. Downhole measurements! A small lab in a hole !!! Drilling operations on the site 1466B ceased around 9am today and logging will start in the evening. 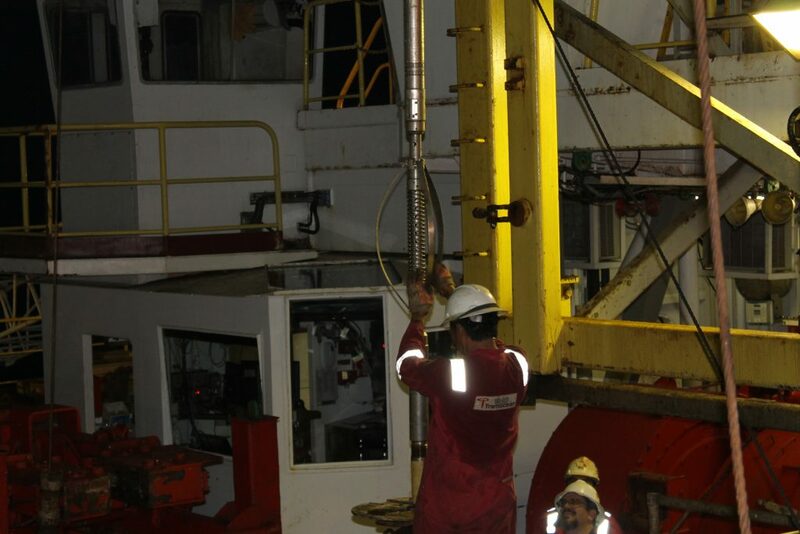 Downhole measurements will complete core sample analyses . Triple combo (http://rosetta.iodp.tamu.edu/A/TechDoc/8244?encoding=UTF-8<) contains tools measuring these parameters. Others tools contain sensors that can detail characteristics of the borehole wall or generate sound velocity data that could be used to relate formation in the borehole to seismic reflection data.